Wellness and spa at the Dolce Vita Hotels is just perfect for wellness-seekers in February! 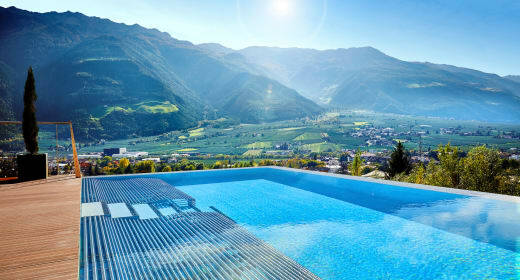 Get fit for spring and enjoy a few relaxing days in the picturesque Vinschgau District.. Even if spring in South Tyrol arrives earlier than elsewhere, the Vinschgau District is still in deep winter sleep in February. Time for relaxing hours with wellness and spa! The individually managed Dolce Vita Hotels are located within a radius of 30 kilometres: the best condition to make good use of the Wellness Around offer. Wellness Around offers you the possibility to enjoy wellness at the Dolce Vita Hotels in 5 different ways. Take a leisurely walk to one of the partner hotels and get curious about the offers that await you there.